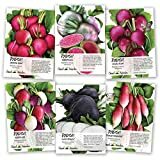 What is a Watermelon radish? 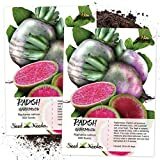 Which parts of a Watermelon radish are edibles? 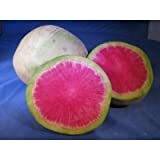 Watermelon radish is cultivar of Daikon also known as Chinese radish the outer color of the radish is white or green the inner part is red-pink, the radish remind watermelon colors but much smaller. Edible part in Watermelon radish is entire plant: root, leaves, sprout, pods and seeds.